Find the latest modern-style homes for sale in Austin, Texas today! When selecting an Austin modern-style home, you’ll find that these properties value style and function over tradition. These homes showcase the lot of unique elements, which have been inspired by a unique situation or purpose. Modern-style homes in Austin veer away from clutter and unneeded elements. Interested in learning more about what these properties entail? Read more about modern-style homes or browse through some of the latest listings yourself. Large expanses of glass and a whitewash stucco or brick exterior are what make a modern-style home. Strong horizontal lines, over hanging roofs and slender round columns are some of the minimal exterior elements you'll often find. 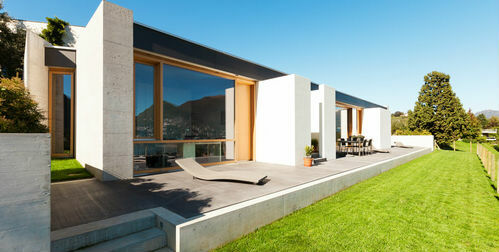 Modern homes are bold and beautiful, with simplistic lines and compelling architecture. In Austin, you will come across a range of properties, from Mid-century modern to stunning new-construction homes. We can help you find the property that matches your search criteria. Structural simplicity, order and functionality. These are the three terms that come to mind when you first start browsing through modern-style homes for sale in Austin. Inside, you'll find large open layouts that make small spaces feel spacious and inviting. These homes look great with rustic and industrial elements. 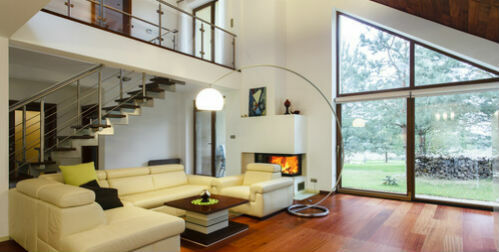 Homebuyers are often attracted to these homes because of the limitless design possibilities. The style you can incorporate will range from lakeside cottage to modern city loft, at the end of the day it's really up to you. Questions About Austin Real Estate? We're one of the top 10 brokers in the country, and we can help you explore real estate in Austin and surrounding areas. Our agents' knowledge and experience in the market can help you reach all of your home buying and selling goals.